Cardinal Circuit offers complete factory liquidation and asset management services for the PCB assembly industry. If your company is shutting down a factory, re-deploying assets or selling existing equipment, contact Cardinal Circuit. We will provide complete valuation services for all of your assets and then offer a cash buyout, complete auction services or a negotiated sale. Cardinal Circuit is THE expert in SMT assembly equipment and will provide an honest valuation of your used equipment in the current marketplace. Contact us for your asset management needs. 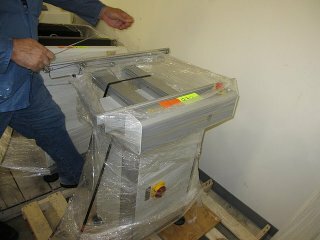 Cardinal Circuit buys and sells all types of lease return SMT assembly equipment. Leasing companies: Contact Cardinal Circuit for all your end of lease and returned SMT assembly equipment. We will buy all brands of SMT lease return equipment. Fuji, Speedline, Siemens, Panasonic, Electrovert, HP, Agilent. Whether it be equipment from an end of lease for SMT Assembly equipment, Test and Measurement or Semi-Conductor, Cardinal Circuit will give you a free valuation on your portfolio. Contact us for all your end of lease SMT Assembly equipment needs. Cardinal Circuit WILL BUY your surplus SMT assembly equipment piece by piece. We pay cash for your used assembly equipment. We buy all manufacturers and models of used SMT / PCB assembly equipment. Contact us to negotiate a fair cash pay out or trade-in on your used equipment.